We won, but it cost us. It cost us close to $1 million and several hundred hours of executive time over 28 months. Time and money I would have much rather spent investing in data and technology — investing in our product, for our customers. At least we were able to invalidate the claims in the patent so they can’t go after anyone else. It would have been cheaper to settle. It is almost always cheaper to settle with a patent troll than it is to fight one. These Non-Practicing Entities (NPEs) — shell companies that generate revenue solely by enforcing patents versus innovating and creating patentable inventions — strategically offer to settle lawsuits for less than the expected cost of litigation. It may sound like extortion, but paying patent trolls to go away has become so common in the tech industry, that it’s increasingly seen as just another cost of doing business. My company, Factual, makes high quality location data accessible to mobile developers, mobile advertisers and adtech platforms, Fortune 500 enterprises, and really anyone who needs it. 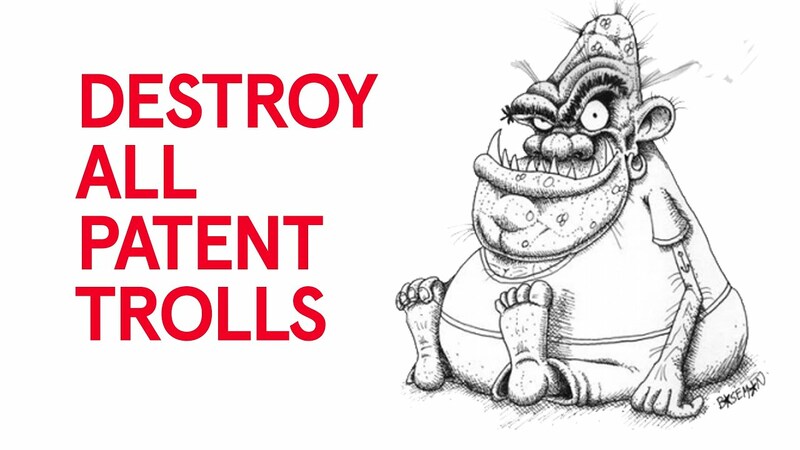 In our case, the troll coming after us was Locata LBS LLC, a California-based NPE, created to pursue its Australian namesake’s patent rights. The troll alleged that Locata’s cofounder holds a patent that says he invented “using location to trigger an event on a roving device.” So they sued us for direct and indirect patent infringement, alleging not only we were using location to trigger an event on a roving device, but also we were inducing our customers to infringe. Locata wanted us to settle. They made us several settlement offers over the course of the suit. And, as I said, it would have been cheaper to settle. Apart from the fact that I think it’s ridiculous to claim that someone invented that abstract concept of “using location to trigger an event” — something the patent office agreed with when they invalidated a significant chunk of our troll’s patent — patents that hinder innovation need to be fought. I started Factual to empower innovation. Factual’s mission is to make data accessible to everyone in order to drive innovation. And as important as the data itself is to innovation, it is meaningless without the ability to apply that data. So, when Locata sued us, effectively seeking to collect a toll and make it harder and more expensive to use location data — not just for us, but for everyone, we decided we couldn’t stand for it. Even if they’d offered to settle for a dollar, it would have been a dollar too much. So we fought — we fought in court, and we fought in the patent office. The asserted claims (claims 1–12) of the patent were invalidated by the United States Patent Office on December 17, 2015, and the case was dismissed on February 4, 2016 in the Central District Court of California. Now, I’m fortunate enough that our investors and our financial position afforded us the ability to fight for principle. However, the vast majority of start-ups don’t necessarily have that luxury. And when every dollar spent on a lawsuit is a dollar not spent growing the company, it’s hard to justify fighting a case when one can settle for far less. While it may make sense for any individual company to settle, settling with trolls just motivates them to keep coming, leading to a world where 88% of patent cases filed against tech companies are brought by patent trolls and 82% of patent troll victims are small and medium sized businesses. Patents are supposed to foster innovation or — as the U.S. Constitution puts it — “promote the Progress of Science and useful Arts.” But, right now, our patent laws aren’t promoting innovation as much as they’re fomenting a tax on it. Since a government policy created the trolls, the only way to put an end to them, once and for all, is for government to change the policy. If we want government to change policy, those of us with a story to tell — and a vested interest in patent reform — need to step forward and tell it. And, in the meantime, we all need to fight the trolls instead of feeding them. Factual’s official announcement is available on the Factual blog.